Britain is to kick out 23 Russian diplomats, the biggest such expulsion since the Cold War, over a chemical attack on a former Russian double agent in England that Prime Minister Theresa May blamed on Moscow, an assessment backed by the United States. May announced the potential freezing of Russian state assets that pose a security threat, new laws to counter hostile state activity and a downgrading of Britain's attendance at the soccer World Cup in Russia this summer. "Their response demonstrated complete disdain for the gravity of these events," May said in her statement to parliament. "They have treated the use of a military-grade nerve agent in Europe with sarcasm, contempt and defiance." "This represents an unlawful use of force by the Russian state against the United Kingdom," she said. The Russian Foreign Ministry said Moscow would swiftly retaliate against the British measures which had been undertaken for "short-sighted political ends". "The British government has made a choice in favour of confrontation with Russia," it said. Russia's Ambassador to the United Nations, Vassily Nebenzia, repeated Moscow's denial that it had anything to do with the poisoning and called for proof of its involvement. "Many of us looked at a post-Soviet Russia with hope. We wanted a better relationship and it is tragic that President Putin has chosen to act in this way," said May. The White House issued a statement saying it shared Britain's assessment that Russia was responsible and supported May's decision to expel the diplomats "as a just response." It was the White House's most unequivocal statement to date blaming Russia for the poisoning. At the United Nations, US Ambassador Nikki Haley blamed Russia for the attack and urged the Security Council to take "immediate, concrete measures to address this now." In a phone call between May and US President Donald Trump on Tuesday, the two leaders agreed that Russia must provide "unambiguous answers" about how a Russian-developed chemical agent came to be used in the attack. German Chancellor Angela Merkel said she took the British findings seriously and there would be a common European stance, although "we must still talk responsibly" with Russia despite differences of opinion. Britain's response to the Litvinenko affair, which included the expulsion of four Russian diplomats, was criticised domestically as too weak, and many in British politics and media have called for a much tougher response to the Skripal attack. Some Russia experts cast doubt over whether May's actions met that test. "This is certainly not a strong response from Britain - it is a mild response," said Mathieu Boulegue, a Russia expert at Chatham House think-tank in London. "It will not deter Russia because Britain is showing too little steel." 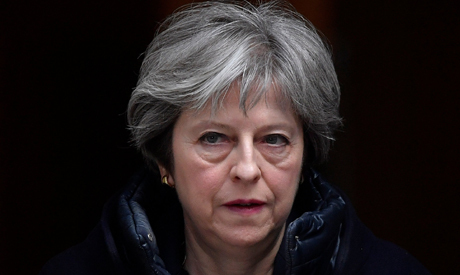 May also said Britain would revoke an invitation to Russian Foreign Minister Sergei Lavrov to visit and suspend planned high level bilateral contacts between London and Moscow. The Foreign Ministry in Moscow said Lavrov had not accepted the invitation to visit Britain anyway. She said checks on private flights, customs and freight would be stepped up to better track those travelling to Britain who could represent a security threat. London has been a venue of choice for many rich Russian to buy property and the in-flow of Russian money has led to the capital being nicknamed "Londongrad".